Q1. What do you collect? Answer: It doesn’t matter if it is working or not. Answer: Generally our services are free of charge depending on what items you have to collect. Go to our free recycling page to see further information. Q4. Do you need notice? Answer: We are generally in the areas we cover at least once a week so we do not need much notice. Q5. What payment methods do you take? 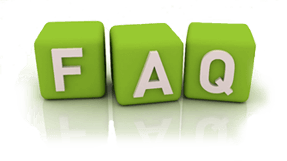 Answer: If there is a charge it can be paid for by a 30 day invoice or credit/debit card. Answer: You are left onsite with the relevant legal Environment Agency paperwork. If you require data destruction, the certificate will follow in a few days. Q7. Are you licenced to collect my waste? Answer: We are fully licenced by the Environment Agency for WEEE refurbishment and disposal. We are also licenced by the Information Commissioners Office for data destruction. Our credentials are on each page and are downloadable. Q8. Can I bring my items to you? Answer: Yes you can bring them to our recycling centre, however if you are bringing hazardous waste like monitors, we will need your waste carriers licence number before you arrive. Q9. What do you do with my items? Answer: Everything we collect is dealt with according to the WEEE Directive. Everything is reused or recycled. Nothing goes to landfill. Q10. Do you collect from private individuals as well as companies? Answer: We are sorry but companies only.